On the FIFTH day of Christmas my True Love gave to me……..FIVE GOLDEN DREAMS. Give the gift of sleep to your loved ones! This not only smells calming but it may help promote a restful night’s sleep. I use this combo (Lavender & Cederwood) to help my 4 year old son calm down when he gets a little too hyped up before bedtime. It’s amazing how essential oils work and do their “magic”. 🙂 What combos have you tried? 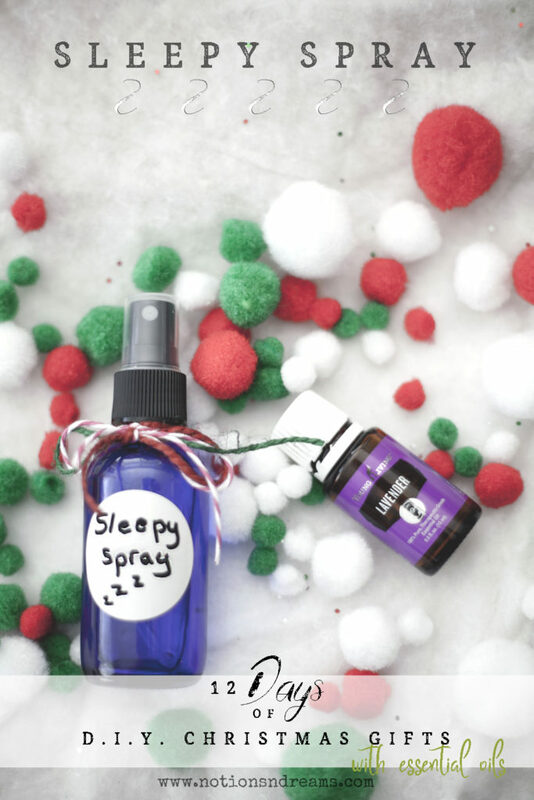 *You can also add 2-3 drop of Young Living Cedarwood Essential oil for an added boost of sleep. Pour 1 tsp of witch hazel and then fill the 2oz bottle almost to the top with filtered or distilled water. Mix in 5-10 drops of Lavender Essential Oil and shake gently. 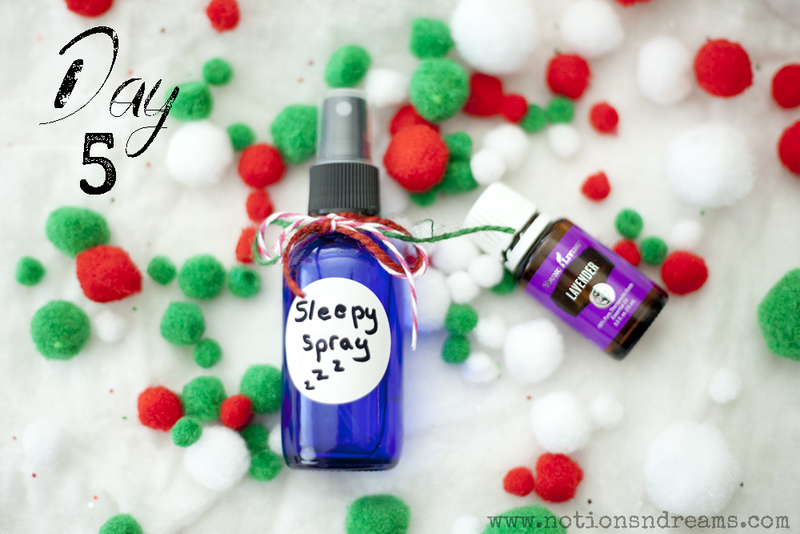 Spray on pillows, sheets, the air, just before bed to get a nice calming, relaxing, sleep!